The Roaring Fork Conservancy recently released its 2018 Voters Guide to Water Issues in the Roaring Fork Valley and Beyond. Twenty-five out of around 30 candidates responded, including Democrats, Republicans, independents, unaffiliated, Unity Party, Green Party and Libertarians. KDNK's Amy Hadden Marsh spoke with the Conservancy’s Kristen Doyle to find out more. 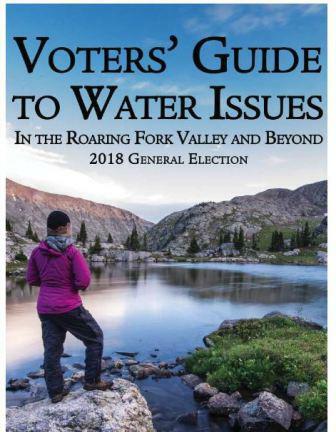 Roaring Fork Conservancy's 2018 Voter Guide to Water Issues is available online, at libraries, coffee shops and other public places.